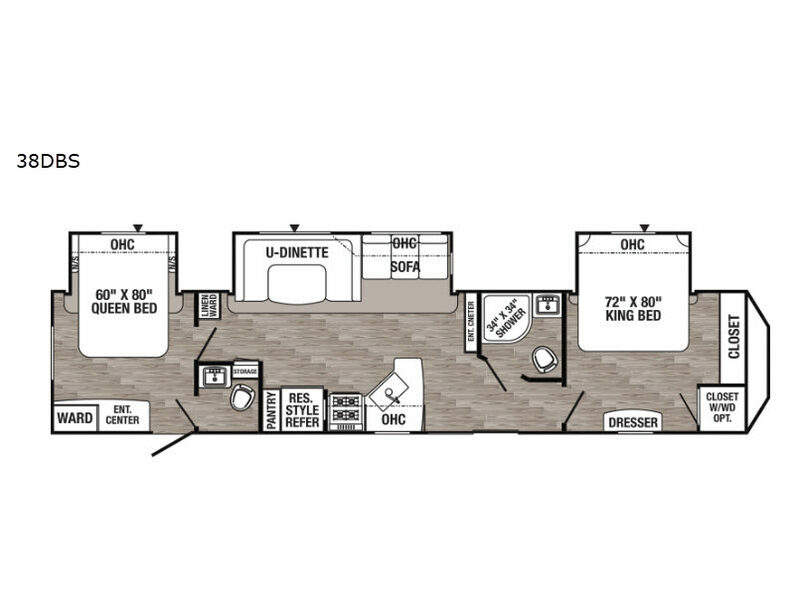 Imagine the kids or your friends in one bedroom with a half bath attached and you in the other bedroom on the opposite side of the trailer sleeping on a king-size bed. This Puma Destination trailer is the perfect vacation home for several reasons. The windows include designer treatments, and the patio door offers natural light to stream inside while the rear bedroom exterior entry door provides another exit when needed. The 16 cu. 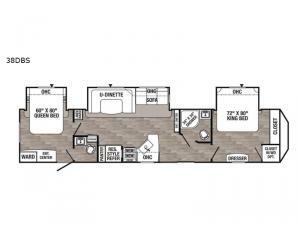 ft. residential refrigerator offers you space for all your cold items, and the additional kitchen amenities allow you to make snacks and meals for everyone to eat at the U-shaped dinette.